Obituary for Patricia Leigh Norris | Gaschs Funeral Home, P.A. It is with great sadness to announce that Patricia Leigh Norris of Bowie, Maryland, passed away peacefully surrounded by family on January 25, 2019. Beloved wife of 54 years to Henry George Norris Jr.
Patricia was born on July 8, 1943 to the late Edward and Eva (Burnett) Anderson. Along with her parents, she was preceded in death by her sister Barbara Richards. Patricia is survived by two sisters, Dorothy Fratturelli and Mary Cardello, her five sons, Henry George III (Josie), Donald (Tracy), Steven, William (Melissa), and Michael (Shannon), grandsons, Blake & Ryan, great grandson, Dylan and many nieces and nephews. 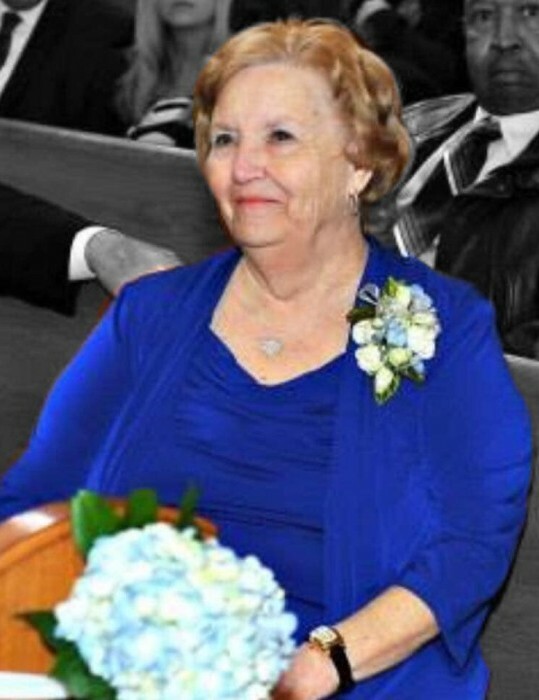 Pat was a loving wife, mother, mamaw, and friend to all who knew her. She opened her home to all, enjoyed cooking and sharing stories about her family. Pat’s greatest success was being dedicated to her family as she was a loving caregiver to so many. She will be greatly missed. Please keep the Norris family in your thoughts and prayers. A memorial service will be held at Landover Hills Baptist Church, 4420 73rd Avenue, Landover Hills, MD 20784 on Saturday, February 9, 2019 at 11:00 a.m.